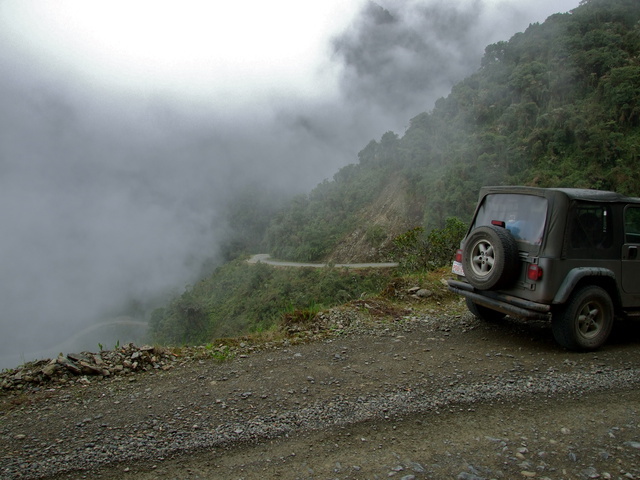 The Wikipedia page for the South Yungas Road in Bolivia is well worth a read. In years gone by, this single road averaged over two hundred deaths per year, earning it the ominous award of “The World’s Most Dangerous Road”. It goes without saying I’m driving it. Immediately after turning off the pavement is a huge sign asking Señor Motorist to drive with care, and confusingly, to drive on the left. Huh? The locals appear to ignore this making we wonder how many accidents this sign alone has caused. A couple of guys explain that driving on the left puts both drivers on the outside edge of the road, making it much easier for them to get within millimeters of the cliff edges. Riiiight. After a few tame kilometers of standard gravel road I find myself right in the thick of a vertigo-inducing track seemingly glued to the side of the mountain. 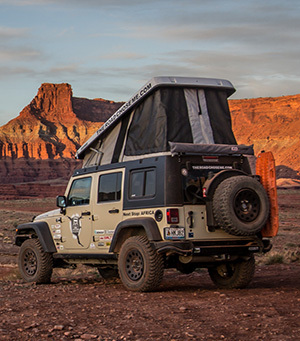 It’s barely wide enough for my little Jeep, has extremely tight curves and absolutely zero guard rails to protect the thousand-meter cliff edges. While I’m taking a few photos thinking it’s not all that dangerous by South American standards a fully loaded truck comes blazing around a hairpin bend with absolutely no warning of any kind. Driving through heavy fog amplifies my already on-edge nerves, so much so I play a tune with my horn around every hairpin, hoping like mad someone on the other side will hear my approach and actually pay attention. At various times waterfalls cascade off the mountains above directly onto the road, causing me to fumble for the wipers. Ominously, many of the sharper curves are marked with plaques remembering those who have died. I descend further and further, leaving high mountain tundra for dense jungle, humidity and every conceivable kind of biting insect. At times the fog is so thick I can barely see the road in front of me, before clearing to reveal the upcoming curves for the next couple of hundred meters. After a solid half hour of nail-biting tension the road mercifully yields, becoming wider and straighter before eventually turning into a standard gravel road once again. I didn’t have to deal with much oncoming traffic on the day of my visit, though I an easily see how just a handful loaded busses, suicidal motorbike riders and the odd clueless tourist would make this a very dangerous place to be. 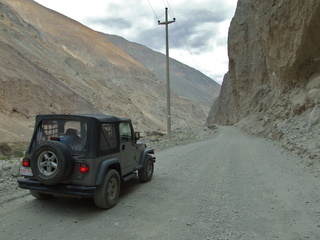 Checkout the short video below for my driving perspective of “The World’s Most Dangerous Road”. 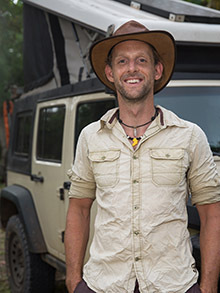 Bloody hell Dan,what are doing on a goat track,is that the only way south? DAN! Looks wild and crazy. What an amazing little adventure. I have written to you in the past, but that was back when you went through Alaska on through Mexico. I have got to tell you that it has been a blast to rediscover your page and start catching up on your trip! It really sounds like it has been going great! I noticed that you are following our foundation on twitter, and so I wanted to write to you and ask you a few questions, but I do not have a good e-mail for you right now. I noticed that you like to do good as you go along your trip, and I thought I might see if you would like to work with our foundation. Can you send me an e-mail via the one provided above? Hi Dan, so cool to hear your voice. 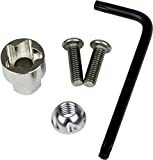 Now I know what it should sound like in my head when reading your blog. Ok! let me get this right: here we have the “world’s most dangerous road”. It was created by Prisoners (let’s not begin to understand under what pressure and how many died in the process) to create a means of only transport and connection between the north of the country and the capital. It is used still as a main – and extremely dangerous – transport route. Then: ENTER THE TOURIST! Hey! lets just get our jeeps and mountain bikes and come in droves and inject a wee bit of ….. additional traffic! Let’s make it fun! Let’s make life for these guys who risk their lives every time they travel here, hang out of their cabin on the abyss to juggle their lorry to let the other one pass safely, just a teeny bit more difficult? Sorry, but this is cheap adventure seeking thrill need without a shred of respect for local people who have NO CHOICE but to use this road, for their income, for their existence. Is this the best you can do? I’d be ashamed. The “death road” has been replaced with a much bigger, faster and safer two lane highway. 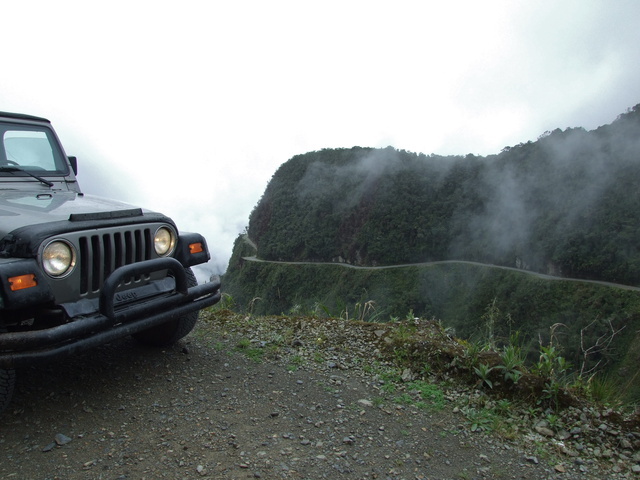 I actually drove back up on the new highway instead of the “death road”, it’s a great road. Locals no longer drive the “death road” for their livelihood, they use the new highway (which was busy). The death road is now only used by tourists enjoying the ride. Thanks Dan for replying – that is very reassuring to hear! Im from Bolivia!! The road is funn and its like a rollercoaster its also like a accident waiting to happen!!!! if u wanna hav fun take the challenge and go on this road!! 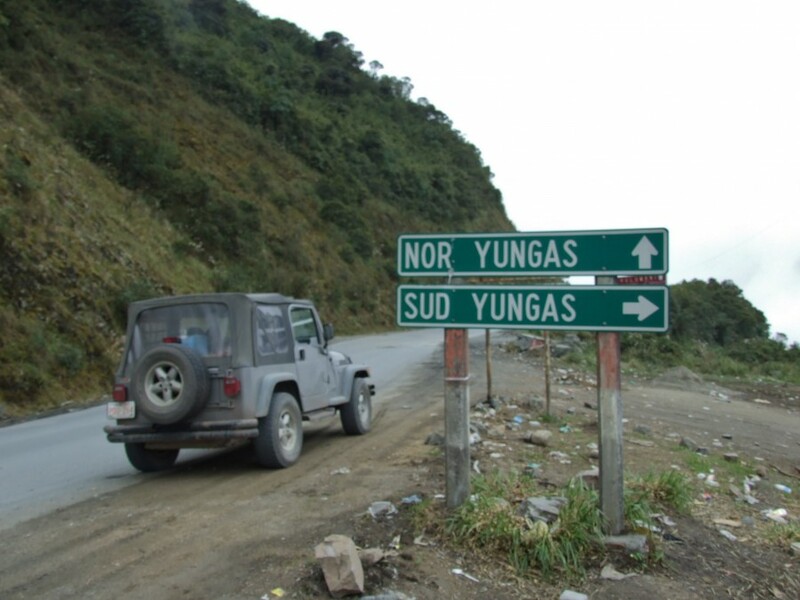 Judging from that video and your description there really doesn’t seem to be much difference between the North Yungas Road and the South Yungas Road. So why do so many more people die on the North Road giving it the name the Death Road? 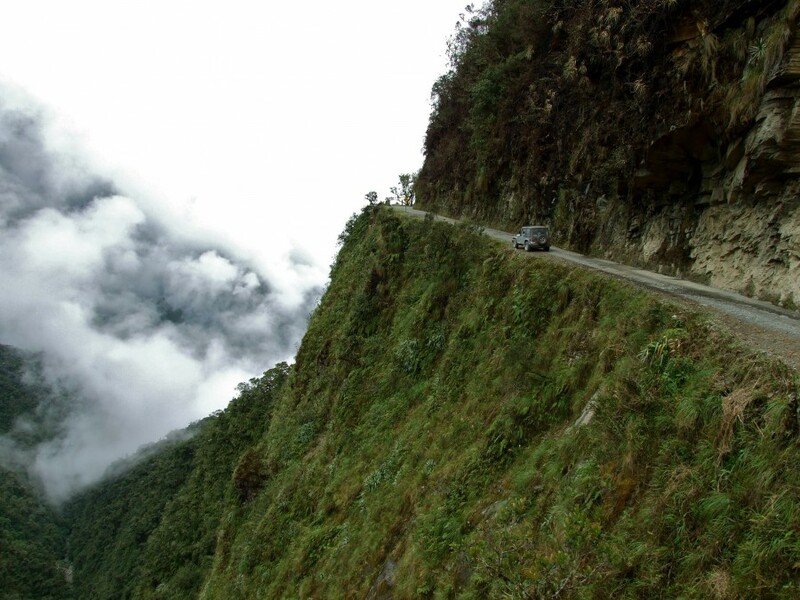 My understanding is the South Yungas road is the old, traditional road. This used to be the only way through and was very heavily trafficked, resulting in many deaths. 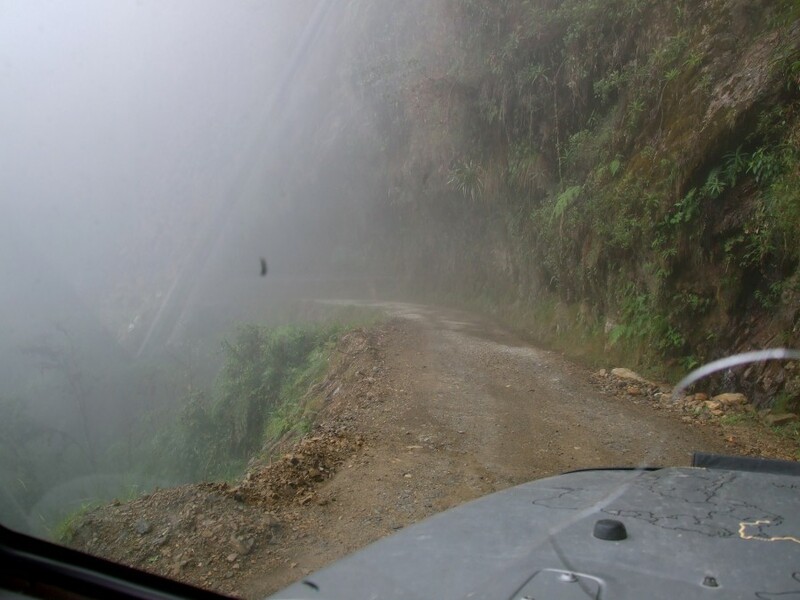 In recent years, the North Yungas road has been built, which is a much better road (wider, better surface, no blind corners) so the bulk of the traffic has been moved to this road. I actually am not 100% of the naming between the North and South Road. I have driven on that road and my knuckles are still white!! I have been on both roads. The new road is very nice and the old road will give a white nuckle experience. 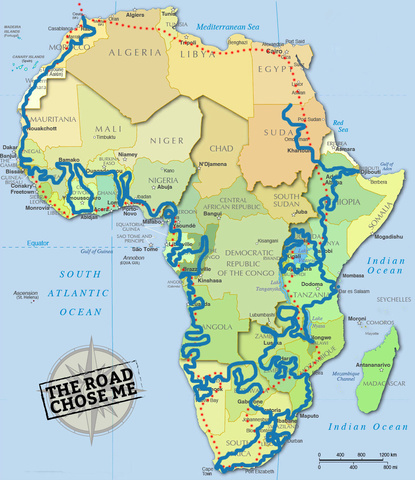 The history channel produced a documentary about the road of death. Worth seeing. 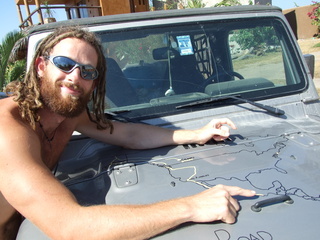 On what mountain in Bolivia does the Yungas Road exist. 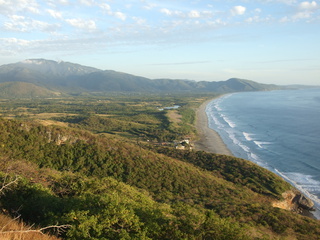 It’s off Highway 3, North East of La Paz, you can find it on google maps.